HZ-1 - New Retro Dining HORIZON Series Booth. 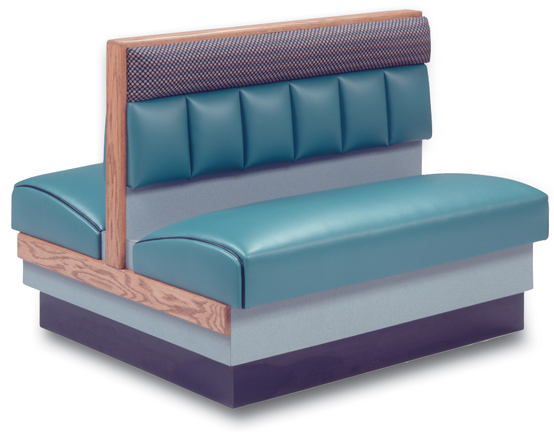 Horizon Series Booth - The HZ-1 has a unique design that offers removable component parts (including headroll, lower channel back and seat) which can be replaced or reupholstered. This model features a standard solid Oak top cap. 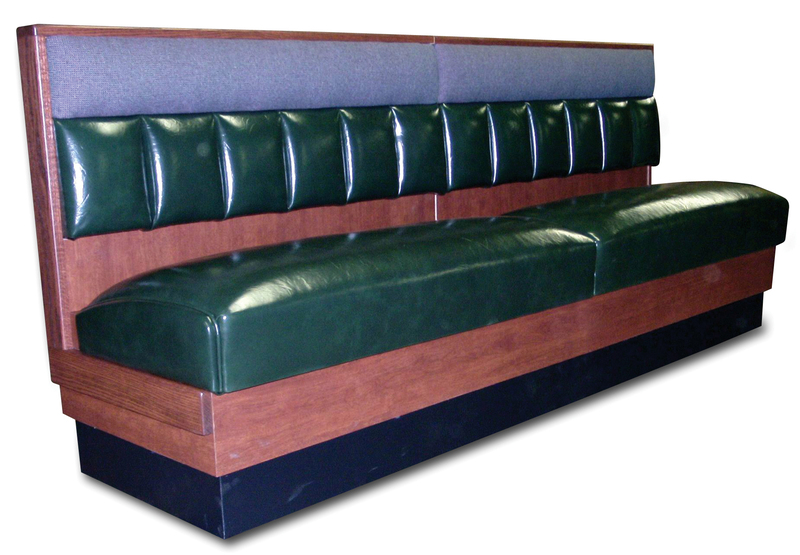 end panel, side panel and sub-base panel with rounded edges and laminated crumbtray These benches have a 35-1/2" overall height and a 18" seat height. Modular construction allows easy replacement of end caps, seats and backs. The baseboard is solid pine board covered with heavy duty, scuff resistant vinyl as a standard or laminated as an option. Standard wood trim is finished on one side only. For finished on 2 sides add $81.54 to the below single and $122.31 to double prices. 1/4 Circle $2,762.68 $2,849.67 $2,939.73 $3,032.89 $3,129.36 $3,411.01 350 lbs. 44" x 44"
1/2 Circle $5,214.65 $5,377.43 $5,546.60 $5,721.33 $5,902.20 $6,433.40 690 lbs. 44" x 84" x 44"
3/4 Circle $7,666.64 $7,905.88 $8,153.48 $8,409.76 $8,675.01 $9,455.77 1012 lbs. 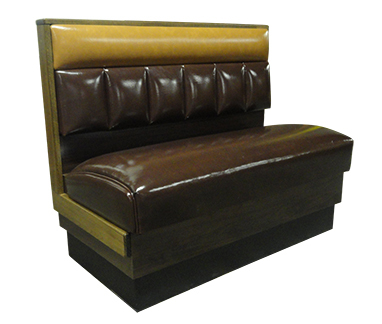 44" x 84" x 84" x 44"
Wall Bench - Click on image for a larger view.